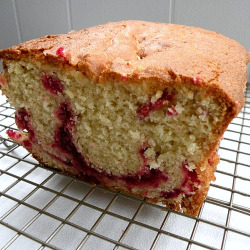 I wish I could have a slice of this right now! looks awesome. i love the gourmet series!!! just made this, and the cake is truly delicious! 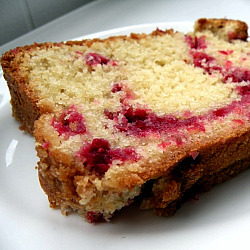 Acidic cranberries with soft mushy cake, mmmm, sooo good. One thing though, I found the dough to be too oily, buttery whatever. 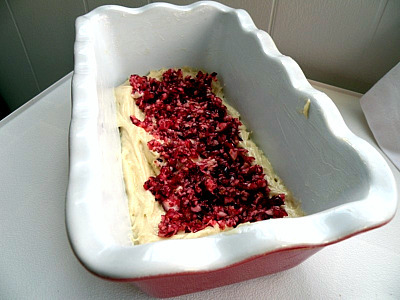 I like my cakes to be a bit drier, so I’ll put next butter next time.